Written by Jennifer Maerz of Lean Startup Co.
How can you really measure the effectiveness of your company’s business model? The process goes much deeper than simply assessing your profit margins. 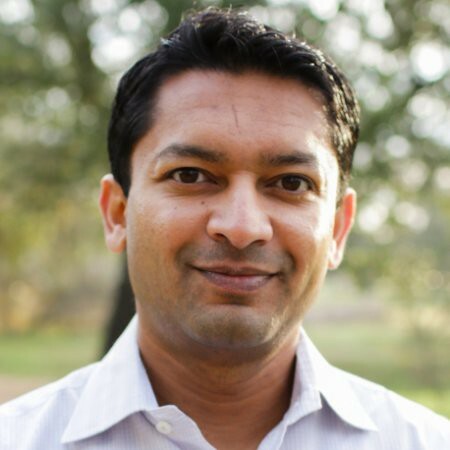 Ash Maurya, author of Running Lean and creator of the Lean Canvas, is one of our big gurus when it comes to distilling complex startup ideas into workable business models — and then repeatedly measuring those models. So we’re really excited to have Ash as a guest on our next webcast on Thursday, June 16 at 11am PT / 2pm ET. As a preview to the workshop he’s leading at Lean Startup Week, Ash will go through the key metrics that are most useful when evaluating your business model and discuss the “precise interventions” to take when things go haywire, on the heels of his new book, Scaling Lean. Sign up for the free webcast with Ash Maurya and the Lean Startup here. We’re also offering a sneak peak of Scaling Lean, which comes out June 14, thanks to Ash. Continue reading to check out “The Art of the Scientist” below. After the introduction of the scientific method, there was a marked increase in the pace of breakthrough discoveries. Both science and entrepreneurship operate under conditions of extreme uncertainty, so the thinking goes that the adoption of some entrepreneurial method might do for business innovation what the scientific method did for scientific discoveries: dramatically accelerate the pace. This is the core message of the Lean Startup methodology. The closest equivalent to a scientific experiment in innovation is a cycle around the Build-Measure-Learn validated learning loop. However, simply running more experiments is not enough. 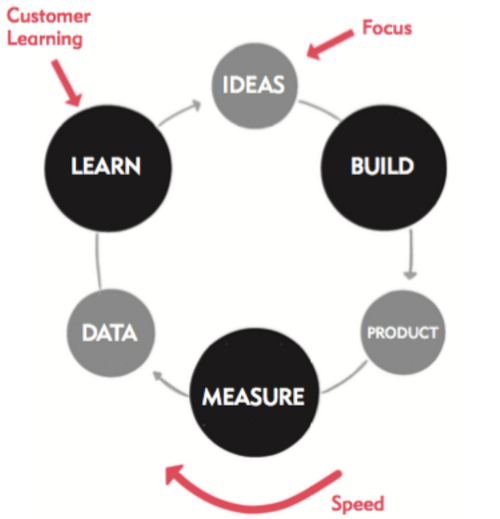 More cycles around the build-measure-learn loop do not automatically lead to new insights. Many experiments simply invalidate a bad idea and leave you stuck. So how then do you set yourself up for breakthrough? The answer lies in a deeper understanding of how true science is done. Notice that we don’t start with experiments. Rather we start by guessing a new law or a new theory. Then we compute the consequences of our guess. Finally, we compare those computations with experiments or observed experiences. Albert Einstein was one of the most celebrated scientists of the twentieth century. But he formulated the theory of relativity without running a single empirical experiment. In fact, while Einstein was a student at the Zurich Polytechnic Institute, he was advised by a professor there to get out of the profession because he wasn’t good at devising experiments. As I studied other scientists, I found the same repeating pattern: Scientists first build a model. Then they use experiments to validate (or invalidate) their model. Like Einstein’s models of the universe, we need simple abstractions to help deconstruct the complex problems of building a repeatable and scalable business. My last book, Running Lean introduced one such model, the Lean Canvas, that can help you deconstruct a complex business idea into a business model. My next book,Scaling Lean, introduces two additional complementary models: a traction model and a customer factory model — that allow you to effectively measure and communicate the output of a working business model. Another key concept from the scientific method is that guesses or theories can never be proven right — they can only be proven wrong. This is the concept of falsifiability. Many people don’t understand this. They think science is about running experiments to validate our guesses. But you can never run enough experiments to completely validate any guess. All it takes is a single experiment to completely invalidate a guess. In other words, it is possible to formulate a guess, build a model, and run experiments that validate your model. But over time, you might run a wider range of experiments, and gather additional experiences, that no longer agree with your theory and which then prove your theory wrong. This is is what happened to Newton’s law for the motion of planets. He guessed the law of gravitation and computed the consequences for the solar system, which matched up with experiments for several hundred years until a slight anomaly was discovered with the motion of Mercury. During all that time, the theory hadn’t been proven right, but in the absence of being proven wrong, it was taken to be temporarily right. This is why true science is hard. The good news is that entrepreneurship is less hard. Entrepreneurs aren’t searching for perpetual truths but temporal truths. Our job is to wield these guesses into strategies or growth hacks that make our business model work for some slice of time. These strategies are considered temporarily validated only if they move the business model goal forward. Furthermore, all growth strategies eventually reach saturation when they need to be replaced by new ones. Even within our current business model trajectory, our “previously validated” guesses can quickly come under question in the face of continuous innovation. If you aren’t constantly trying to disrupt yourself, i.e., prove your business model wrong, someone else will. Can you find the common theme across these discoveries: Penicillin, microwave, X-ray, gunpowder, plastics, and vulcanized rubber? Yes, they were all accidental discoveries. But because they were accidental, it’s easy to dismiss them as lucky breaks. However, there was more than luck at play. All these discoveries started as failed experiments. In each of these cases, the inventors were seeking a specific outcome and instead got a different outcome. But instead of throwing away their “failed” experiments, they did something very different from most people: they asked why. Innovation experiments are no different. Achieving breakthrough, then, is less about luck and more about a rigorous search. The reason the hockey-stick trajectory has a long at portion in the beginning is not because the founders are lazy and not working hard, but because before you can find a business model that works, you have to go through lots of stuff that doesn’t. Most entrepreneurs, however, run away from failure. At the first sign of failure, they rush to course correct without taking the requisite time to dig deeper and get to the root cause of the failure. In the Lean Startup methodology, the term “pivot” is often used to justify this kind of course correction. A pivot not grounded in learning is simply a disguised “see what sticks” strategy. The key to breakthrough isn’t running away from failure but, like the inventors above, digging in your heels and asking why. The “fail fast” meme is commonly used to reinforce this sentiment. But I’ve found that the taboo of failure runs so deep (everywhere except maybe in Silicon Valley) that “failing fast” is not enough to get people to accept failure as a prerequisite to achieving breakthrough. You need to completely remove the word “failure” from your vocabulary. At Lean Startup Co., we’re always thinking of new ways to connect our community with experts in the granular and tactical elements of our methodology. Sign up for the webcast with Ash Maurya on Thursday, June 16 here, and stay up on all our upcoming webcasts in this newsletter, or on our website. Bonus: Ash is offering a buy 1 book, get 1 book free special to the Lean Startup community for his new book, Scaling Lean. Buy the new book on Amazon, send him your receipt with code “LEANSTARTUP”, and you’ll get a digital copy of Running Lean, too! Originally published at leanstartup.co on June 8, 2016.